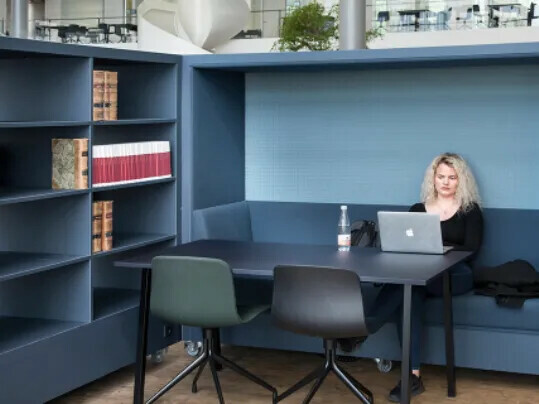 We understand that a holistic approach to commercial office design is key, which is why we have created a comprehensive portfolio of textile and resilient modular floor coverings that can be easily installed together at various price points. 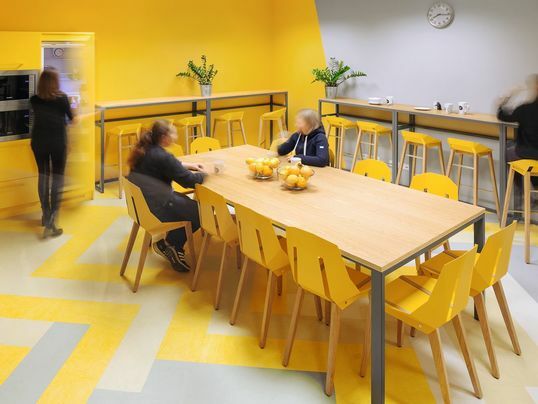 Forbo can offer a wide range of floor coverings to suit all areas included in commercial office design and fit out projects, including main offices, meeting rooms, toilets, tea points, kitchens, reception areas and more. 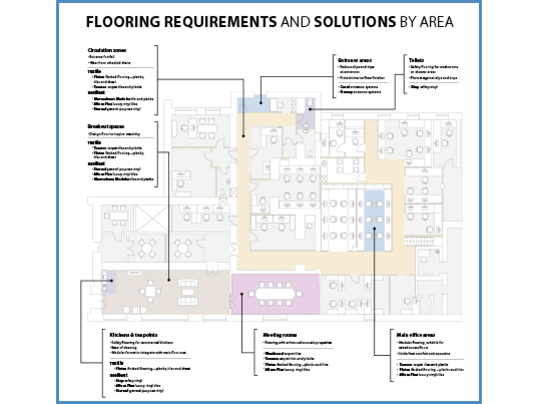 Download our office floor plan guide to see which products we recommend for each area of your project. Entrance flooring has a critical safety role to play. It helps to reduce slips and trips as well as protecting interior floor coverings, prolonging their life cycle and saving end users both time and money. Coral can stop up to 95% of dirt and moisture entering a building and reduces cleaning time by up to 65%. An installation of Coral can pay for itself within 6 months. Coral is available in sheet, tile and click formats for easy installation. Coral Tiles are suitable for raised access floors. 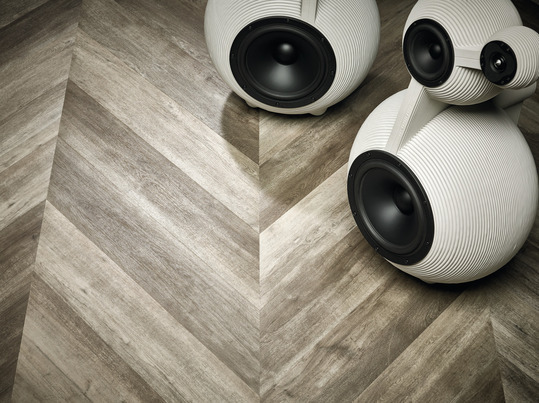 Allura Flex LVT is suitable for raised access floors. Responsible for many accidents that lead to injury, slips, and trips, floors have a lot to answer for. By choosing a genuine safety floor the number of accidents caused by slipping can be reduced significantly. 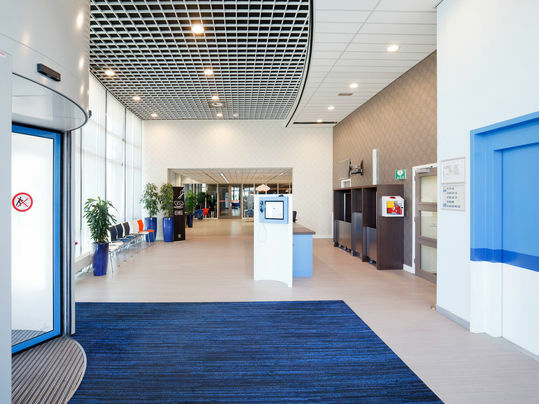 Our Step safety vinyl floor coverings have guaranteed lifetime sustainable slip-resistant performance and offer safety solutions for a wide range of applications. Varying from R10 slip resistance (Surestep & Solidstep) to R11 and R12 (Safestep) for areas where higher slip risk is identified, such as kitchens and bathrooms. 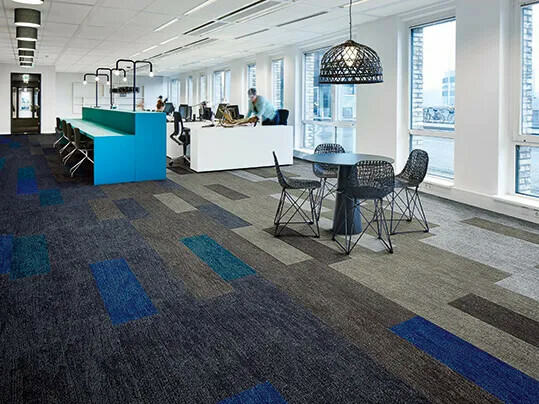 There's a wide range of commercial office-friendly designs in the Flotex flocked flooring collection, including sheet, tile & plank formats that lend themselves well to contemporary or classic environments. 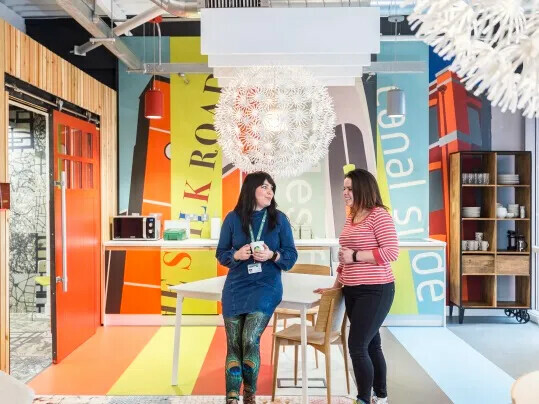 Flotex is the first textile floor covering to receive the prestigious Allergy UK Seal of Approval™ as it can improve indoor air quality for employees. It is also a truly washable textile, making it extremely quick & easy to clean. Whether you're looking for a custom colour, a completely bespoke design or tiles & planks from stock, you can achieve it with Flotex. Explore our flotex collection What is flotex? Flotex flocked flooring planks & tiles are suitable for raised access floors. 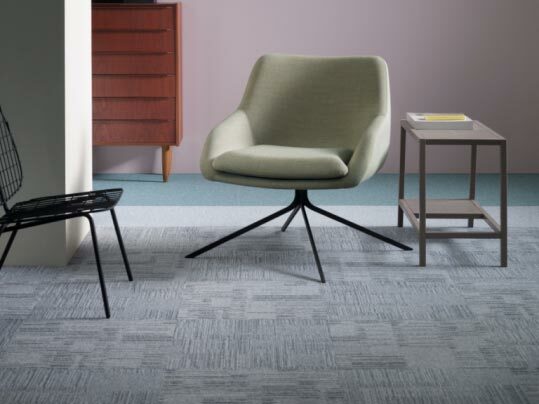 Tessera and Westbond carpet tiles and planks offer various pile constructions and textures in a modular format to create a versatile aesthetic and performance benefit to commercial office interiors. Our linoleum floor covering, Marmoleum is made from up to 98% natural raw materials. 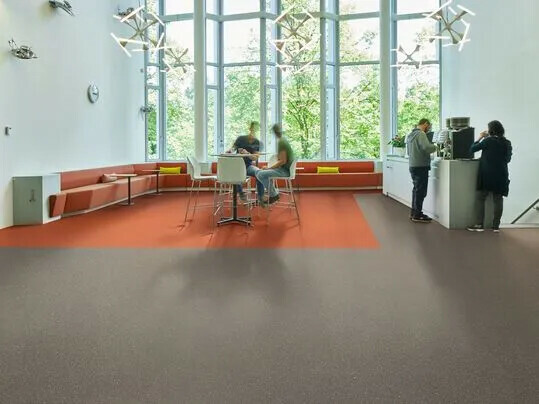 Containing linseed oil, wood flour, rosin and jute, Marmoleum is one of the most sustainable, environmentally friendly products on the market and is available in three core design collections, Solid, Marbled and Linear. Each offering a unique aesthetic in a variety of textures and a colour palette ranging from vibrant hues to subtle tone-on-tone shades. Marmoleum Modular presents sustainable linoleum tiles in various sizes and designs, enabling you to create stunning floor plans. Planks and tiles with visuals of wood, concrete, stone and marble that can be mixed and matched to deliver a beautiful and long-lasting floor. Marmoleum can be supplied in pre-cut 61x61cm slabs to be applied to raised access floor panels. Minimum order quantities and lead times apply. Bulletin Board is highly suitable for use in office buildings; on the walls in offices and conferences rooms, corridors, photocopying areas and so on. Bulletin Board can also be used on wall dividers that double up as information carriers.